Sunshine Coast, Aust. UN-Edited images by Des Thureson - http://disci.smugmug.com. This gallery here is a 'second' gallery of supplementary photos. My main / portfolio gallery of 'better' images of the 2013 Mooloolaba Triathlon is here: http://smu.gs/YHGVhX. The images in this gallery have not been edited. Details: Prints: If you order a print, the image will be cropped, levelled and improved prior to printing. Downloads: If you're interested in a download, you can either: 1) purchase the download 'as is' (unedited) or 2) email me at disci7 AT gmail dot com and ask me to edit the photo prior to your purchase. Thanks so much for your interest. My 2012 Mooloolaba Triathlon Festival main gallery: http://smu.gs/14dg1GW. My Photo-Blog post on the 2013 Mooloolaba Triathlon: http://bit.ly/YUiaPD. GO!! 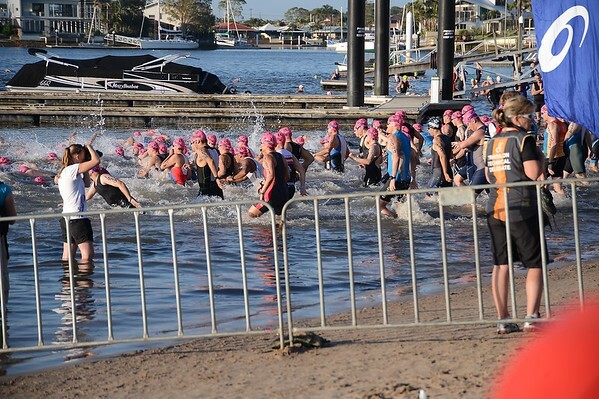 - 2013 Mooloolaba Triathlon; Mooloolaba, Sunshine Coast, Queensland, Australia; 17 March 2013. Camera 1. Photos by Des Thureson - disci.smugmug.com - UNEDITED Image. a) If you order a print, the image will be cropped, levelled and improved prior to printing. b) See the gallery's main description, above, for details about purchased downloads.